Merchants from ancient Rome would come to us to buy amber as early as two thousand years ago. The now-restored Roman trading factory in Pruszcz is a memento from those days. 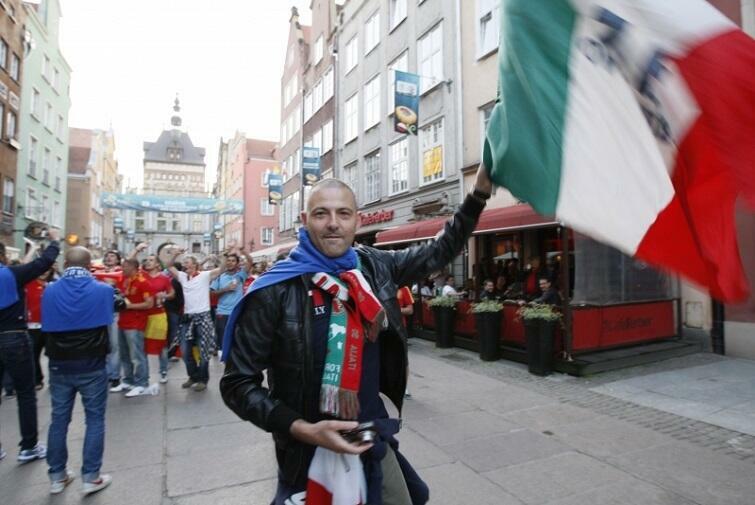 Such were the beginnings of relations between Gdansk and future Italy. Learn more from the last article by prof. Januszajtis. Gdansk’s relations with Italy changed in the 16th century. Young residents of Gdansk, after studying in Krakow or at one of the German universities, would sometimes choose to continue their studies in Italy. After completing his studies at the University of Siena in 1591, the future mayor of the city, Jan (Johann) Speiman, participated in two wheat transports to a disaster-stricken Italy, and in return, the Pope made him into a Knight of the Golden Spur in 1593. The historical Roman and Italian figures (Mucius Scaevola, both Scipios, Cato the Younger, etc., as well as Lorenzo de' Medici) immortalised on the walls of the Golden Townhouse (built between 1617 and 1619) are another memento of the relationships of old. Italian engineers Hieronimo Ferrero and Giovanni Batista assessed the city’s fortifications. Their assessment from 1603 was used as a blueprint for the extension and modernisation efforts in the years that followed. Among others, they recommended that a lock be built for the purpose of flooding the area to deny enemies access. The Factor of the Duke of Tuscany, Pietro Neri of Lucca, who arrived in the city in 1606, received Gdansk citizenship in 1613, after his king vouched for him. With his two wives (both born in Gdansk), he had four beautiful daughters, who all married residents of Gdansk – the first married the preacher at the Saint Catherine Church, Jan Mochinger, and the fourth married Jerzy Strakowski, a builder of fortifications. In the Old Town City Hall, there is a fireplace from 1642 – according to the inscription, it is the work of Lorenzo Falsetti. Another Gdansk-Italian, Francesco Brunatti, funded the baptism chapel in the St Nicholas Church in 1732. In 1804, his grandson, Franciszek Chrystian Brunatti, established the Midwife Education Institution, of which he became the headmaster in 1816. He also created a fund aimed at supporting poor children born in the school. In 1654, King John Casimir assumed control over the hitherto independent Gdansk post office. The first Royal Postmaster in Gdansk was Francesco de Gratta, an ennobled Genovan. Two High Commissars of the League of Nations in the Free City of Danzig were Italians: Bernardo Attolico (1920-1921) and the Count of Sicily, Manfredi Gravina (1929-1932). The latter, who died in Gdansk, was buried at the cemetery neighbouring the church in Saint Adalbert. His family eventually took his body back to Palermo. The headstone has survived to the present.